At Main Road Self Storage, we offer eight different-sized storage units to meet your storage needs. Our units are competitively priced to accommodate customers in Summerville and Johns Island. Whether you need space to store a few items or several rooms of furniture, Main Road Self Storage has the storage unit to accommodate. Rest assured that your personal property will be protected with our 24/7 surveillance. Our units have ceilings that are over 10'6'' tall, which will allow you to fit 13% more than storage units offered at other local facilities. For example, a 10'x20' unit at another facility with an 8' ceiling has 1,600 cubic feet of storage. The same size unit at Main Road Self Storage offers 2,120 cubic feet of storage, which means you will get an additional 520 cubic feet for the same price. Each of our oversized units is designed to hold large home furnishings, like couches, dressers and appliances. 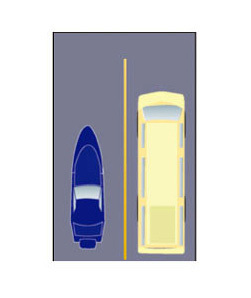 At Main Road Self Storage, there is no need to play the guessing game. 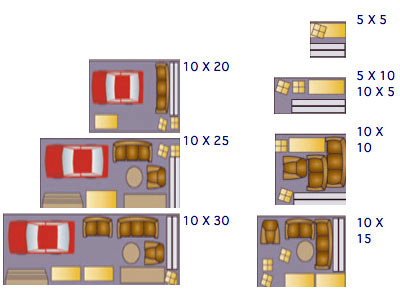 Our team can help you determine what size unit best suits what you are storing inside. If you need assistance deciding which storage unit will accommodate your personal belongings, contact our resourceful staff at Main Road Self Storage or refer to the charts below. *If your home is 2,000 square feet or larger, we recommend you call one of our professional storage consultants.